Thai AirAsia X Hiring – do you want to become a cabin crew or flight attendant in Thai AirAsia X? if yes then this article for you only. 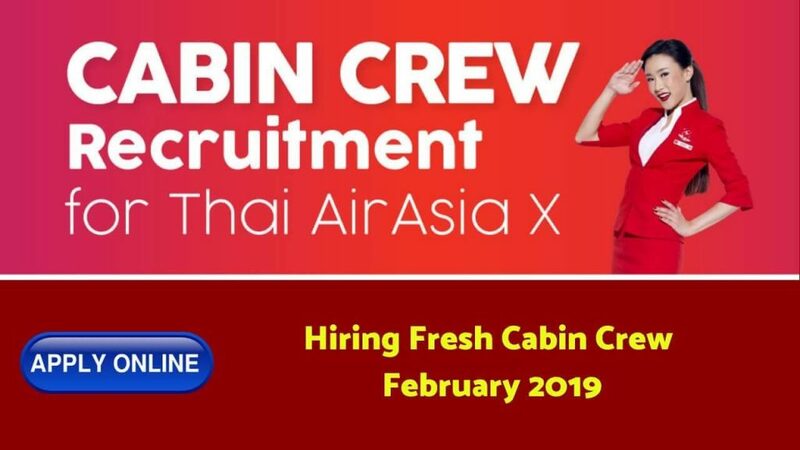 So, friends in today’s article I am gonna write on the topic of Thai AirAsia X Hiring Fresh Cabin Crew – February 2019. Aged between 21-26 years old. Interested candidates are invited to apply via thaiairasiacareer.com and required to submit your copy of Passport, the copy of TOEIC Certificate and your VOD Clip. Duration is not more than 2 minutes and does not exceed 200 MB MP4 or only VDO clip which is more than 2 minutes will not be considered. You must present it in English. Briefing describes your personal details with the name-surname, surname, age, height, weight, education background, work experience. Show us your special talent or showcase your outstanding personality. Remarking – You must present a full-body and half-body with clear face in the VIDEO clip.